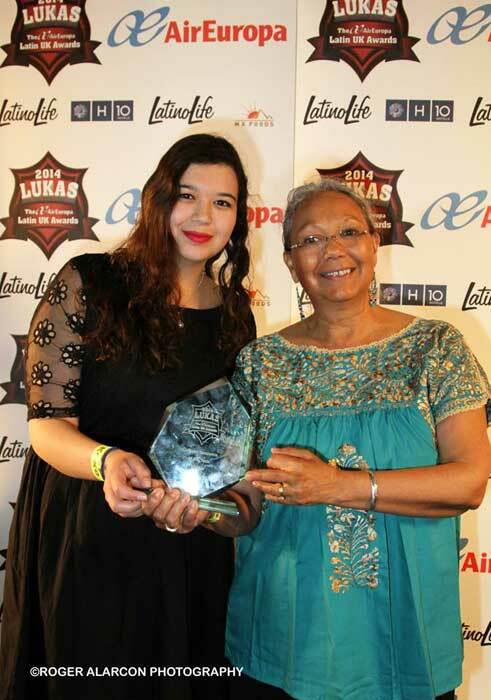 Mexicolore directors Graciela Sánchez and Ian Mursell were presented on March 12th 2012 with the award for ‘Cultural or Educational Resource of the Year 2011’ in the inaugural LUKAS awards ceremony, held at Floridita, London. 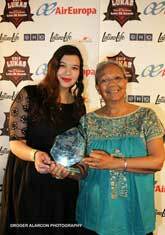 The LUKAS awards, created by latinolife.co.uk, were established in recognition of the contributions made by individuals, groups and organisations working in the UK to promote Latin culture. The winners in each category were chosen by popular vote in an online poll in which some 150,000* voters took part. STOP PRESS! We’ve WON!! For the second year running! Renewed thanks to all our wonderful supporters! *In 2013 over 330,000 votes were cast! ”The LUKAS Awards both encourage and recognise the rich contribution made to our city... by those of Latin American, Spanish and Portuguese origin.” Ken Livingstone, ex-Mayor of London and mayoral candidate 2012.